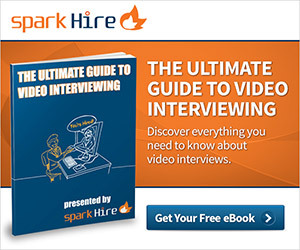 In this video, Spark Hire demonstrates one way video interviews in action. You’ll notice the hiring authority has a line of interviews to conduct. In order to avoid this situation, the hiring authority turns to one way video interviews, also known as Spotlight Interviews, to gain insight on candidates and save a ton of time. While the hiring authority’s busy day is full of in person interviews, one way video interviews are most frequently used as alternatives to time consuming phone screens. Check out the video below and let us know what you think in the comments. Have you used one way video interviewing to save time on screening candidates?